UNCLE BUCKKKKK!!!!!!! 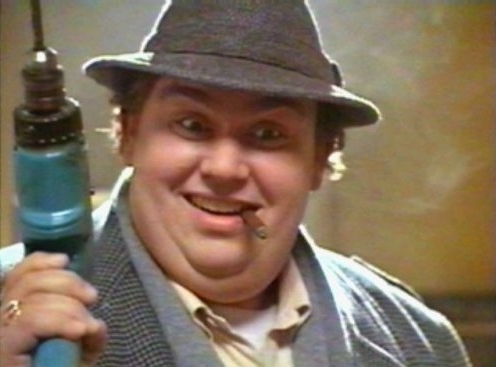 Oh, how we all miss John Candy. My love of Uncle Buck is so well-known that I’ve received the DVD as a gift on three separate occasions. You know it’s a classic when someone who has never seen the movie still laughs at its clips. Confession: the TV version is better than the full. I’ve selected the FAMOUS “mole” scene. Buck goes in for a parent-teacher conference (although he’s the uncle) and is faced with a bitter Principal who has a giant mole on her face. Distracting? Perhaps. Tomorrow unleashes #6 on the continuous 10-day countdown of genius comedy writing moments! Who will it be? Seinfeld? Wayne’s World? You’ll have to wait and see.